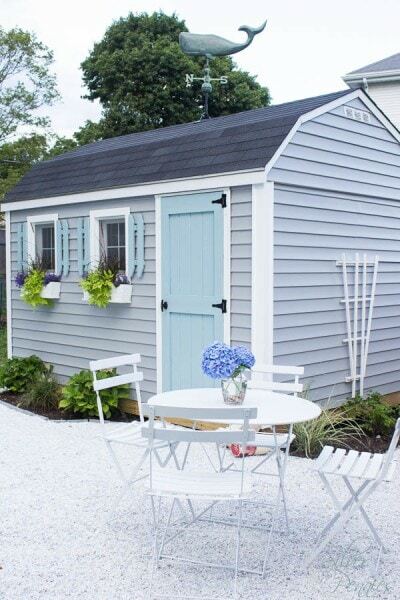 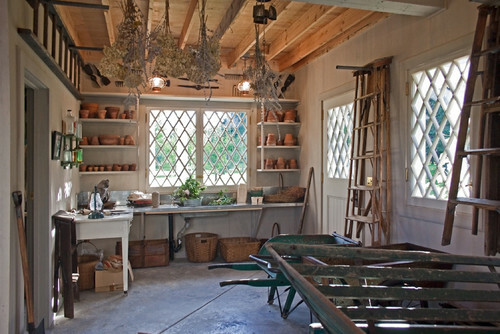 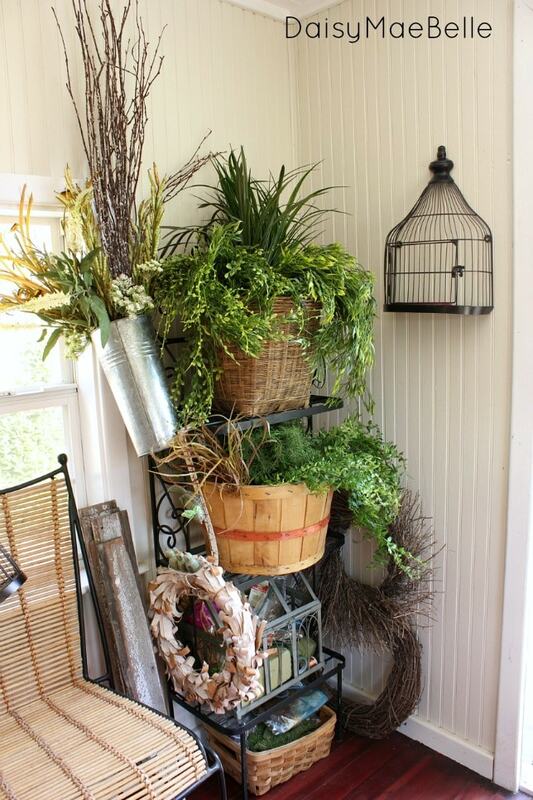 I think she sheds are so charming and my very favorite project to date was ours from last summer. 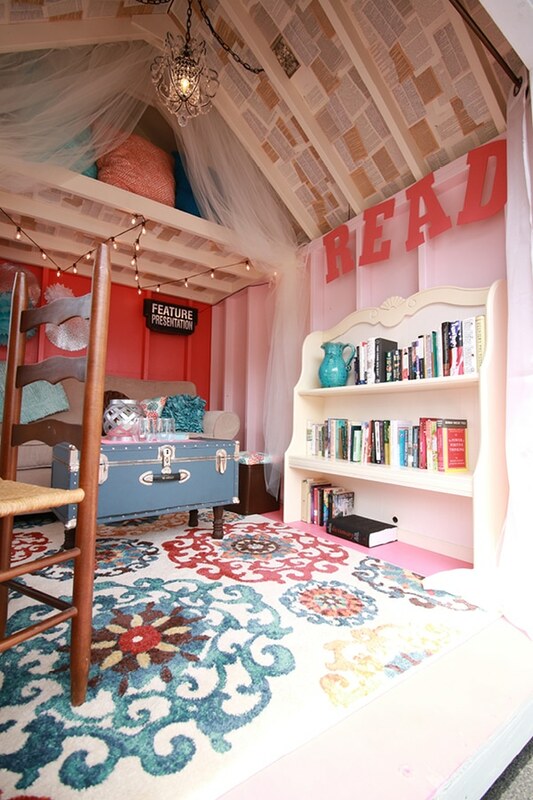 It is such a fun space to just relax and snuggle with the baby, read, or chat with friends. 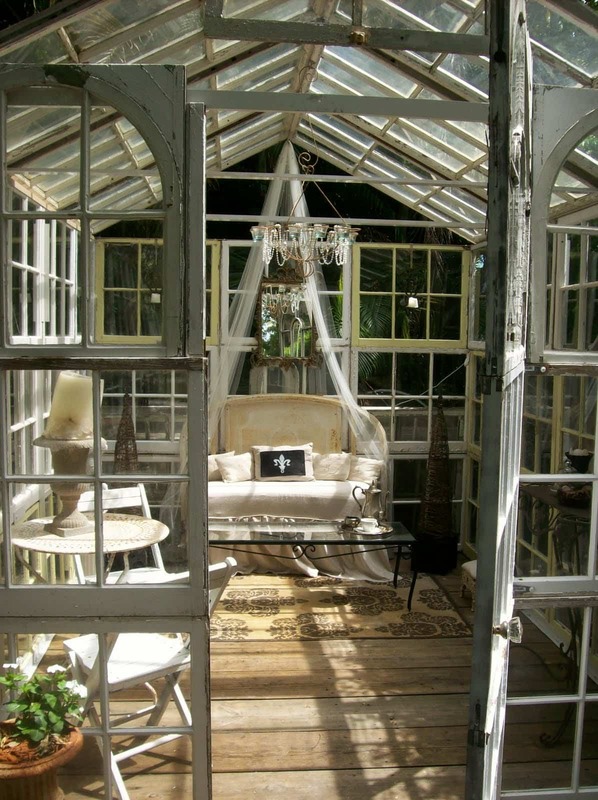 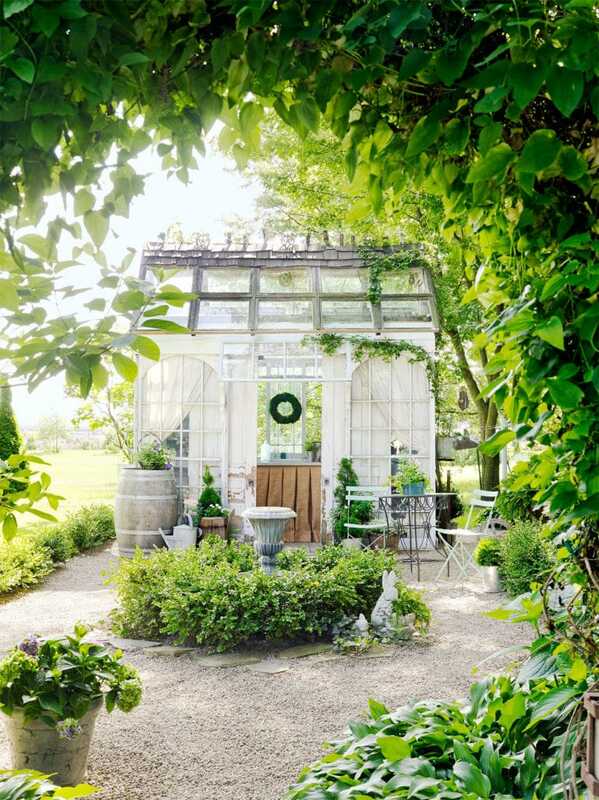 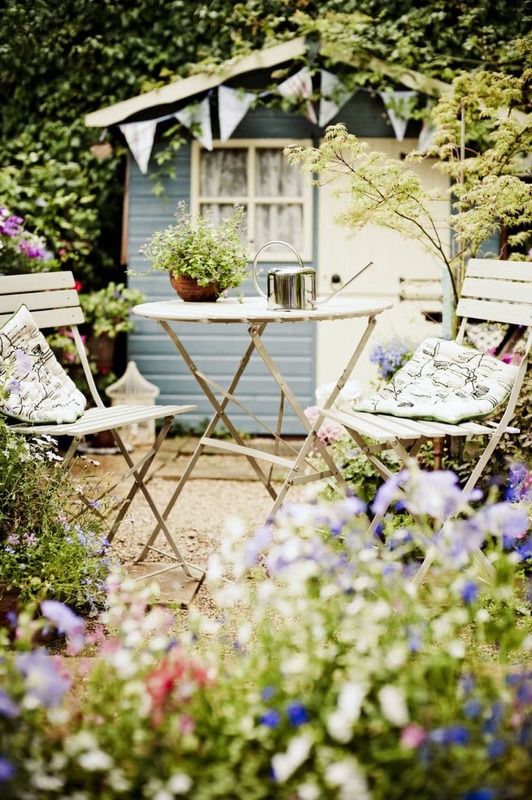 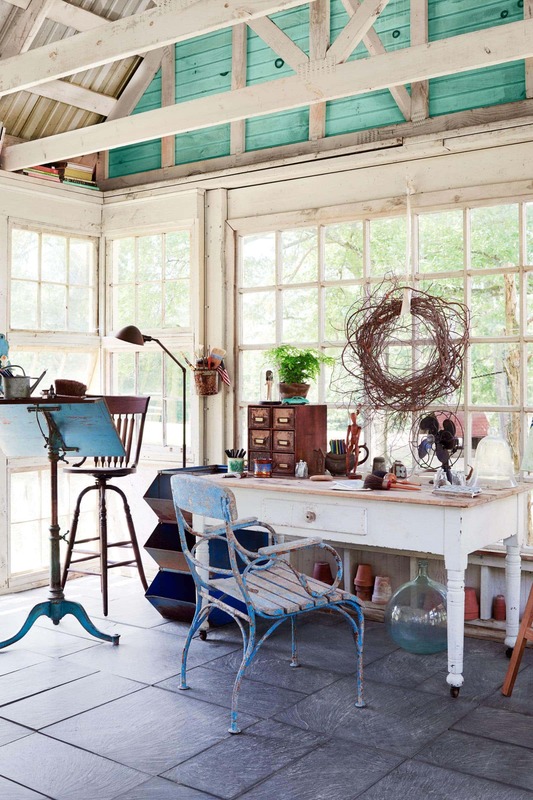 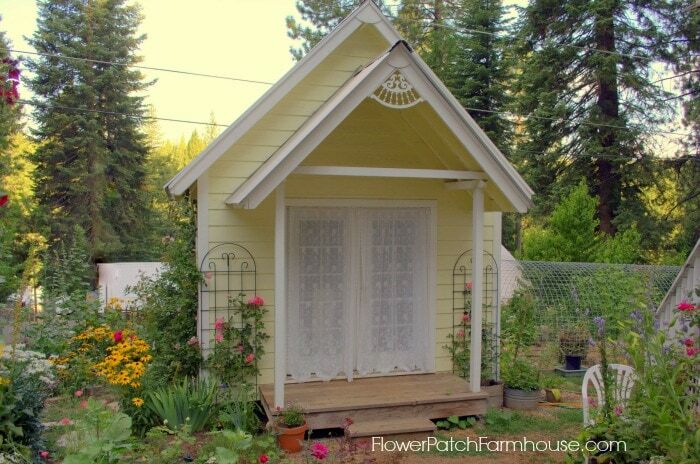 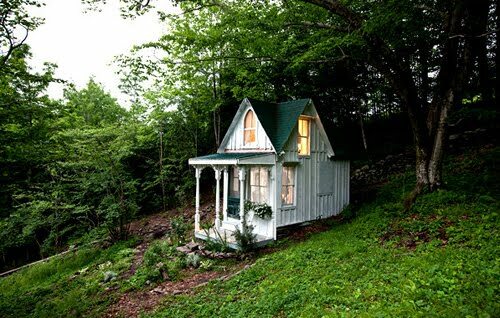 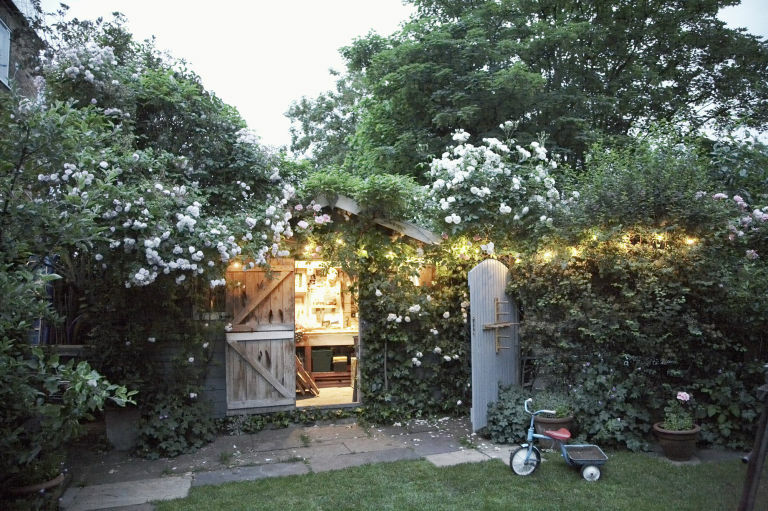 So, today I thought I would share 25 gorgeous sheds for you to sit back and enjoy. 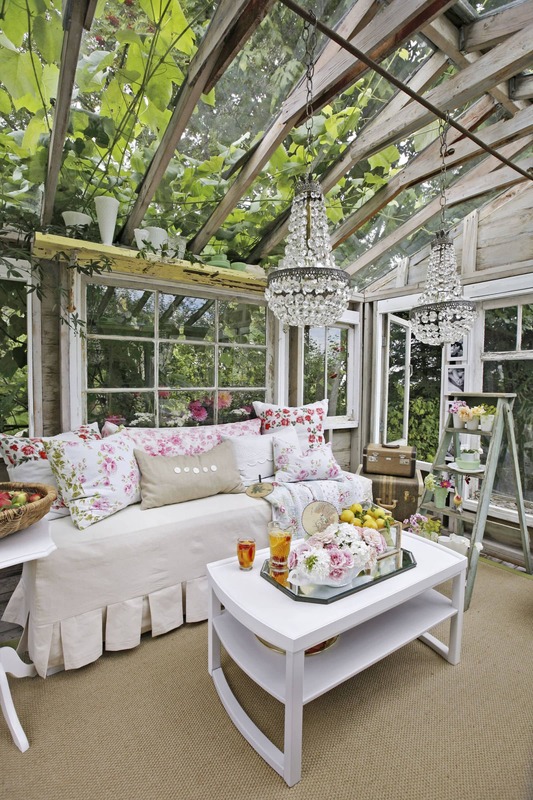 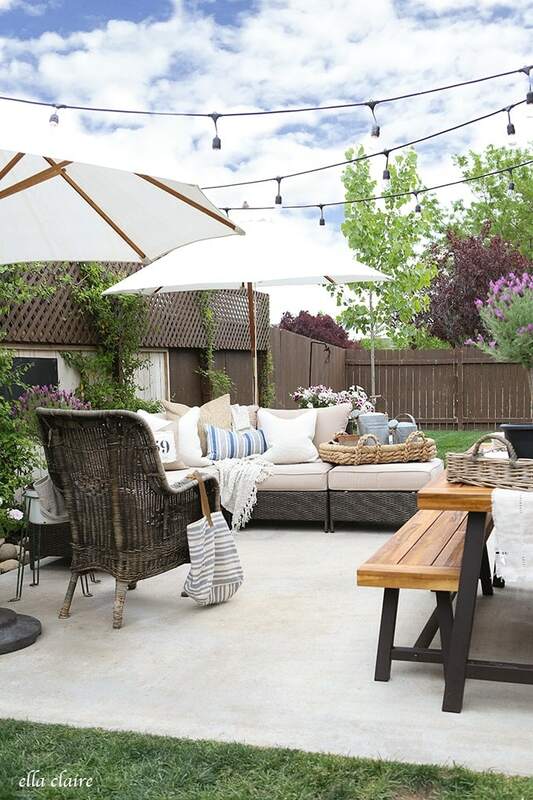 A little bit of eye candy and inspiration for your day! 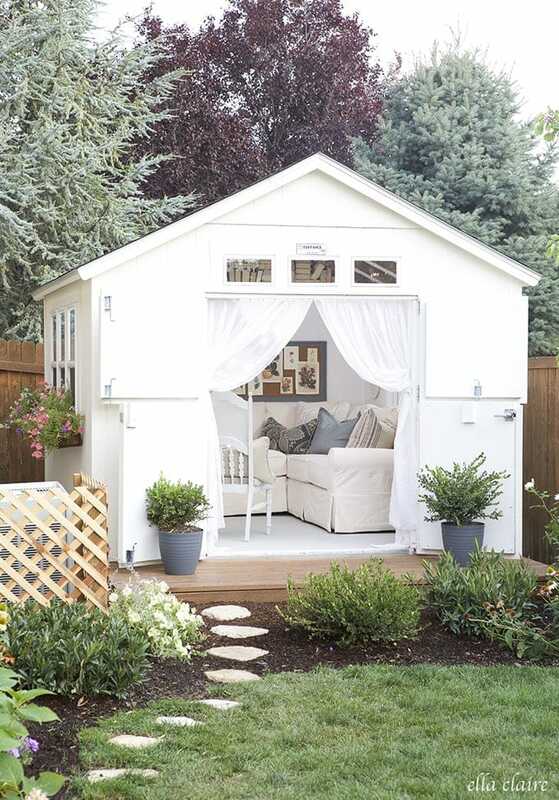 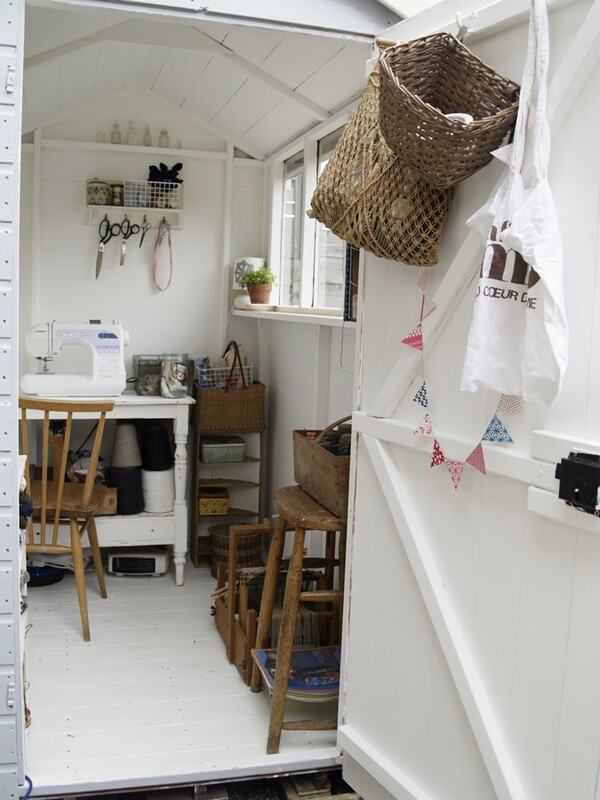 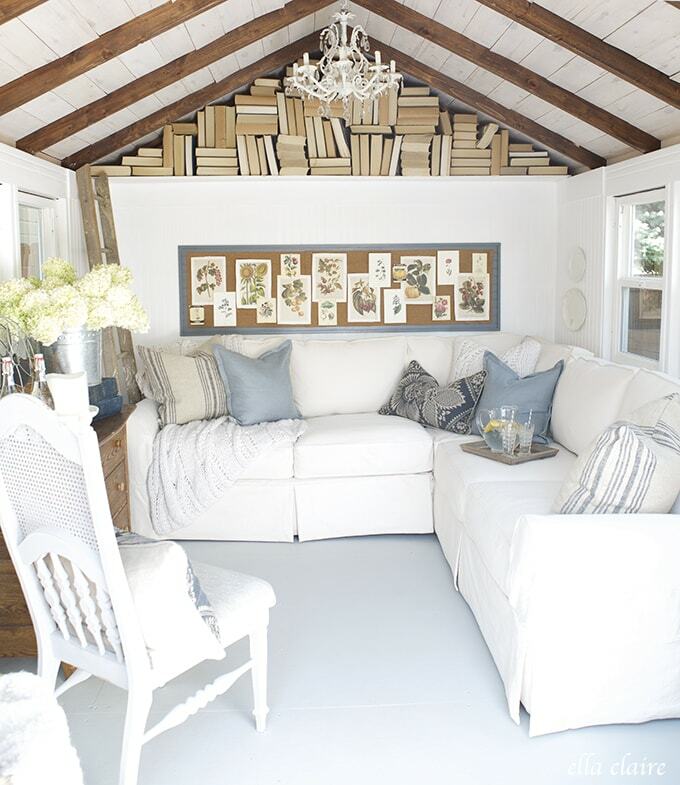 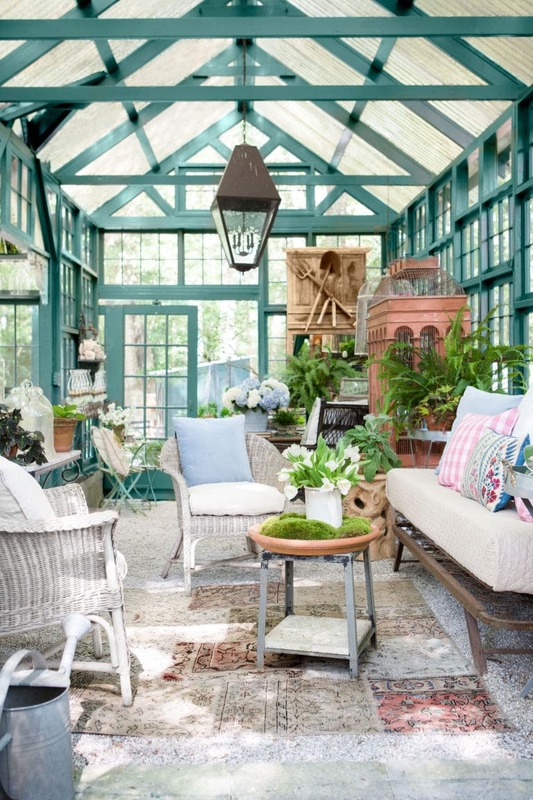 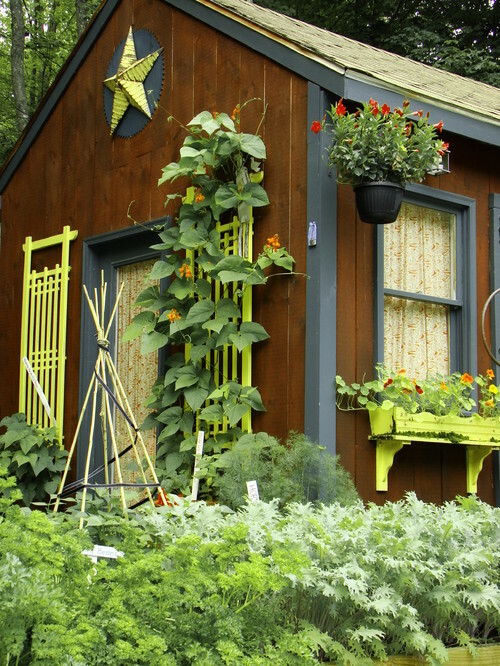 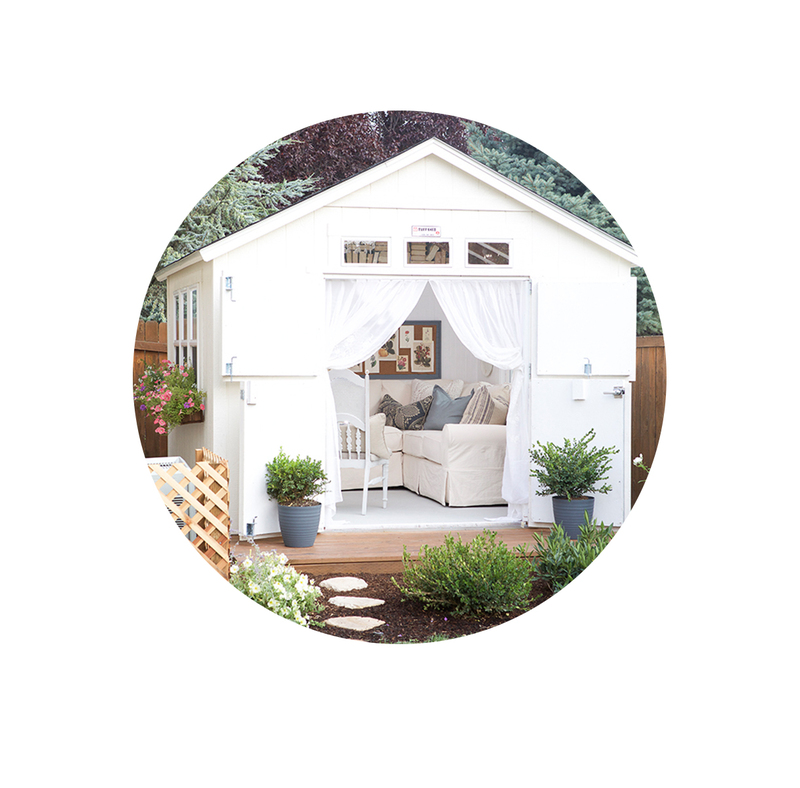 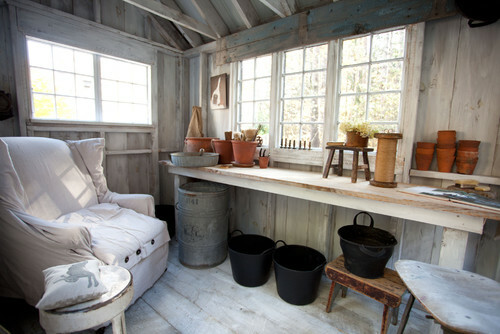 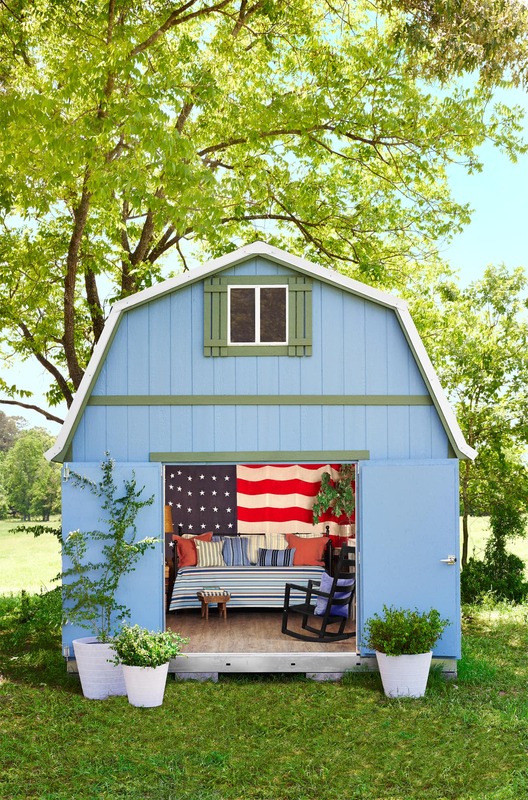 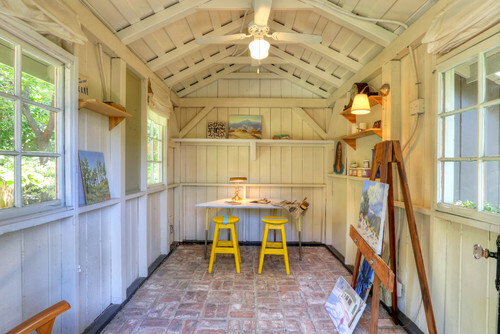 I think the she shed is the grown up version of a clubhouse and I love peeking in on these spaces that are so loved and enjoyed. 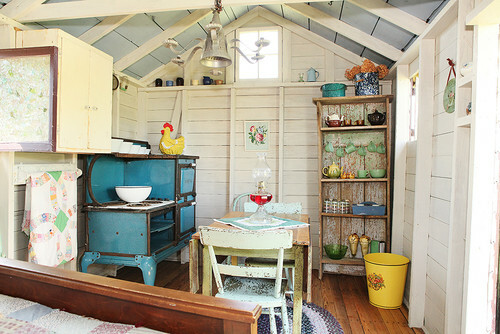 I am particularly drawn to the ones who have a lot of vintage charm. 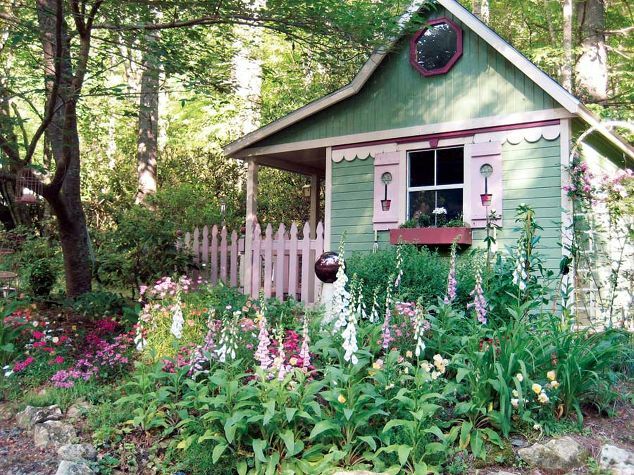 I hope you enjoy they brighten your day. 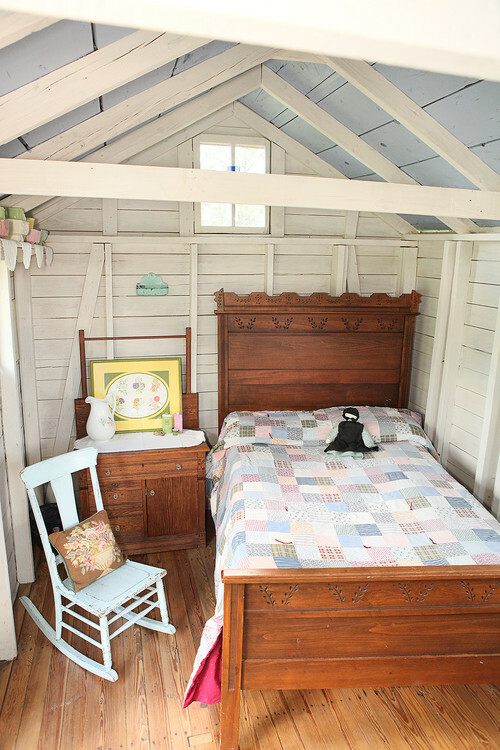 First of all she shed is just about the cutest term I can think of right now. 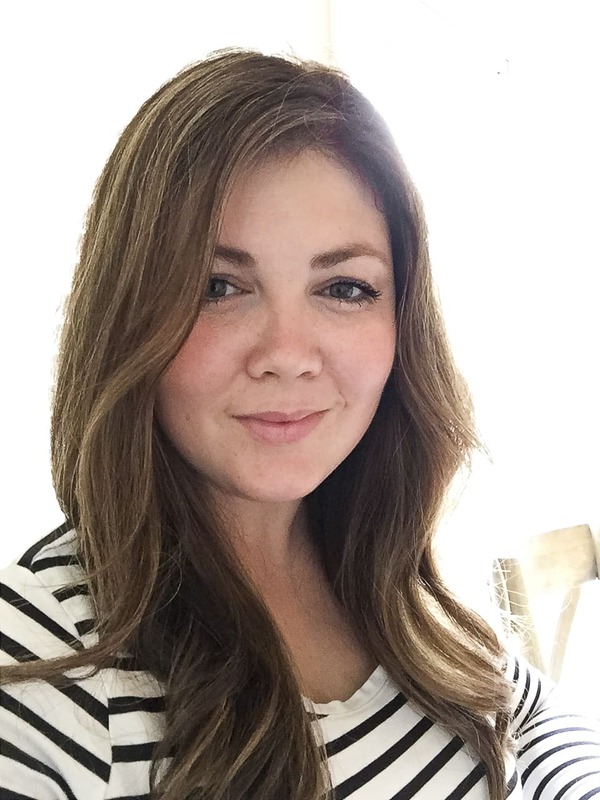 I love yours and this post is great. 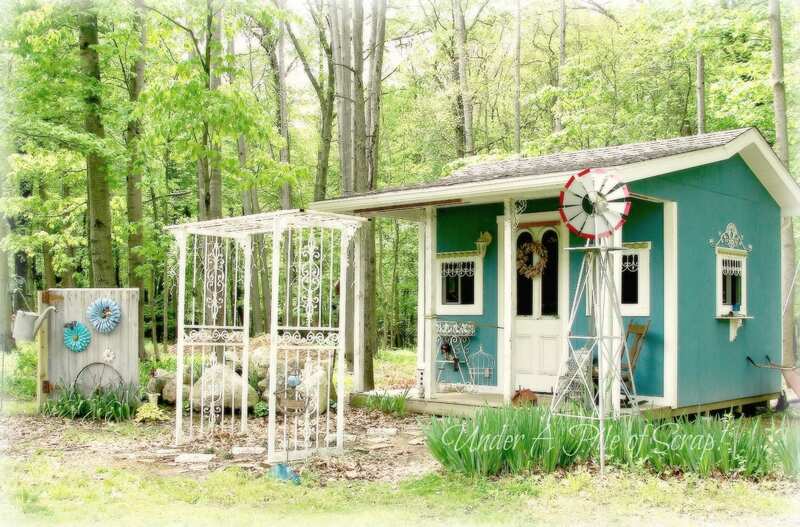 My aunt has a smaller house and she does tons of crafts… Her family got her a shed for just “her stuff”. 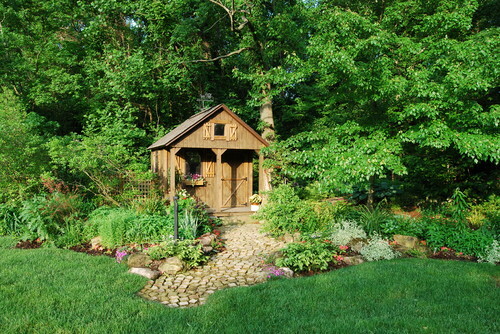 I’m going to send her to this post so she can see some of these great designs.